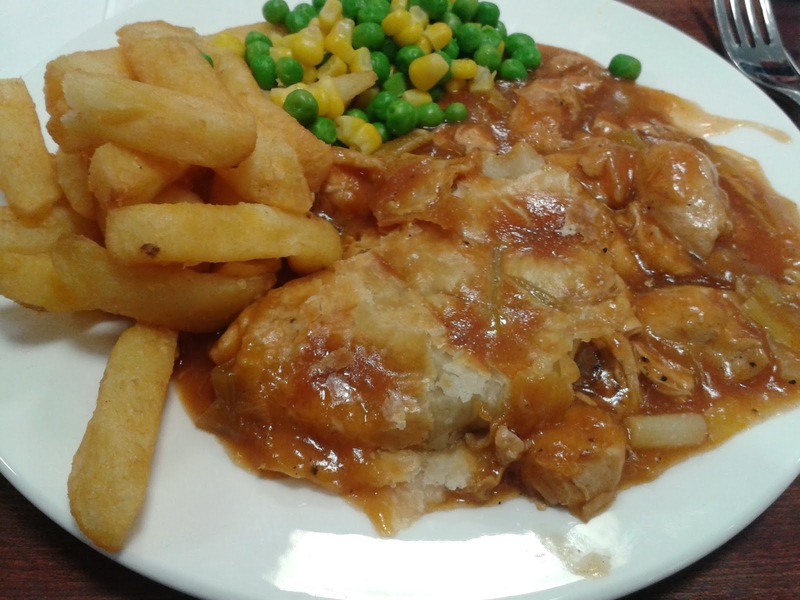 Pierate - Pie Reviews: A Smashing British Pie Week at the NIA Badminton? Some of you may remember that last British Pie Week Pierateer RAS was at the National Indoor Arena (NIA) in Birmingham to help with the Yonex All England Badminton Championships 2014, but also got a chance to rate the NIA Apple Pie. And at 4.2/7 the apple pie got a decent score but there were a few service faults and certainly room for improvement. Back again this year, the NIA have this year got some meat pie on the menu and we have rated the Chicken and Leek pie. As you can see from the photo, this is just a top crust pie. At www.pierate.co.uk we are quite pie purists, so we would prefer to see a pie fully encased in pastry, however it was good to see the top pastry was quite golden. This top pastry layer was quite tasty, though not very crisp and there were also definite murmurings of a lack of pastry by fellow pie eaters. Without a pie casing, the filling just spilled all over the plate and so the condition wasn’t great. The filling spread all over the plate and it was great to have a decent amount of chicken, which was tender and quite flavoursome in the gravy provided. However it is very difficult to judge the capacity with such a lack of pastry structure to support the pie. There was a bit of leek and onion in it to bulk out the pie filling, but it was certainly mainly chicken. At £7.50 for the pie meal, this isn’t really a price I’d be making a racquet over. While the NIA have once again done well to show their support to British pie for all the international guests at the NIA in British Pie Week (as they did in 2011 and 2013), I would like to have seen them encase the pie in pastry. However, all in all, it was quite a nice top-crust pie meal without challenging for the top seeding.